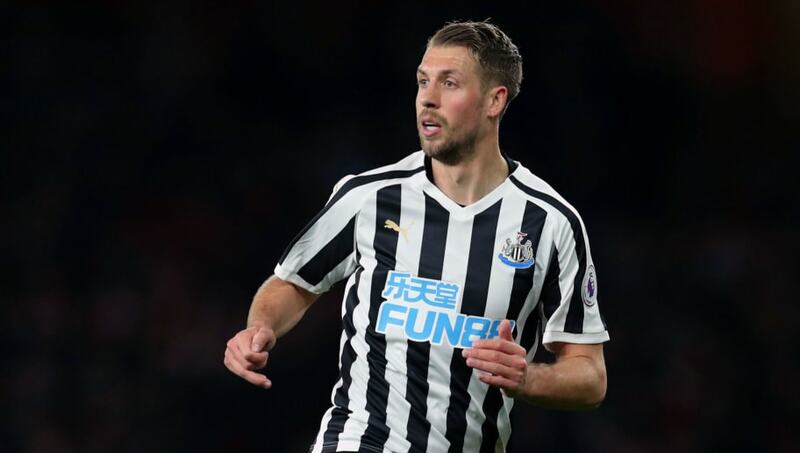 ​Newcastle United have confirmed that Florian Lejeune will miss the remainder of the season after sustaining a knee injury in Saturday's 1-0 defeat to Crystal Palace. He was carried off on a stretcher after 65 minutes of the match following a challenge with Andros Townsend, and was seen leaving St James' Park on crutches after the game was over. In a post on their ​official website, ​Newcastle revealed the extent of his injury, writing: "Newcastle United can confirm defender Florian Lejeune sustained a significant knee injury during Saturday’s game against ​Crystal Palace. "The 27-year-old was forced off on a stretcher during the second half at St James’ Park after injuring his left knee – not the knee injured during pre-season which saw him miss the start of the campaign. "Lejeune has been ruled out for the remainder of the current season and further updates on his recovery will be provided in due course." The 27-year-old has endured a torrid season which has been blighted by serious injuries. He suffered a cruciate ligament rupture in July 2018 which was expected to sideline him for the entire 2018/19 campaign, but Lejeune made a remarkable comeback and returned to the lineup after just six months. He started 12 games in a row, but has now seen his season come to a premature end before it had even really begun. Rafa Benitez has used Lejeune in a three-man defence alongside both Jamaal Lascelles and Fabian Schar, meaning reserve options are slim. Paul Dummett has been deployed as a centre-back in recent weeks, whilst Federico Fernandez, who was initially signed to replace Lejeune, could be called upon once again. The Magpies currently find themselves 15th in the Premier League table, seven points from the relegation zone.